The founding members of the NAACP truly understood the power and influence of images in media, even during the infancy of the film and television industries as we now know them. And the Association remains at the forefront of the struggle for the inclusion of all Americans, regardless of race, in the entertainment industry. As early as 1915, it organized a nationwide protest against the negative portrayals of African Americans in the film Birth of A Nation. There is no other organization that has confronted the misuse of media to influence negative public attitudes toward race like the NAACP. 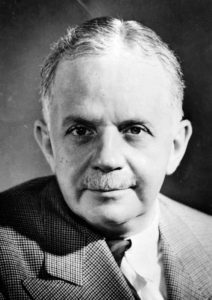 In 1942, NAACP Executive Director, Walter White, worked with politicians and studio executives to establish an ad hoc committee with the major studios to monitor the image and portrayal of African Americans on the screen. Years later in 1955, the Mississippi Branch of the NAACP, led by Medgar Evers, filed a complaint with the Federal Communication Commission (FCC) that the local television affiliate, WLBT, presented the local news in a racially biased manner that did not serve the public interest. And in 1969, the FCC revoked WLBT’s broadcast license. This, after years of litigation, marked the only time in FCC history that a television station’s license was revoked because of racial bias in programming. This sent a powerful reminder to the rest of the television industry – that we as citizens own the public airwaves. In 1966, under consistent legal pressure from the NAACP, The Amos & Andy Show was taken off the air. Headquartered in Los Angeles, California, the NAACP Hollywood Bureau is a satellite office of the National office, which deals with issues of diversity programming and minority employment in the entertainment industry. The Bureau opened officially in October 2002, as part of the follow-up to the NAACP Diversity Initiative started in 1999. The primary objectives of the Hollywood Bureau are to monitor offensive and defamatory images in film and television, as well as campaign for greater minority participation, advance the cause of diversity and create milestones by which future progress can be measured in the entertainment industry. The Bureau also provides support to people of color in front of and behind the camera by showcasing their work in order to foster a continuous pipeline of diverse voices. Through the Bureau, the Association celebrates and highlights the outstanding achievements and performances of diverse talent in the arts, as well as those individuals or groups who promote social justice through their creative endeavors through the NAACP Image Awards. The Bureau also works to broaden and expand the pool of emerging talent by identifying, developing and educating writers, directors, producers and actors of color in the television and film industries; subsequently positioning the Association as a resource and feeder into the industry. In 1967, the NAACP Hollywood Branch created the NAACP Image Awards. Now a primetime live special, the NAACP Image Awards is the nation’s premier event celebrating the outstanding achievements and performances of people of color in the arts, as well as those individuals or groups who promote social justice through their creative endeavors. In 1999, the networks signed a landmark memorandum of understanding with the NAACP and the Grand Coalition greatly advancing the cause of diversity in the entertainment industry and creating a milestone by which we can measure future progress in Hollywood. Today, the NAACP through the Hollywood Bureau, and support of its membership, continues to monitor offensive and defamatory images in film and television, and its campaign for greater minority participation in the entertainment industry.